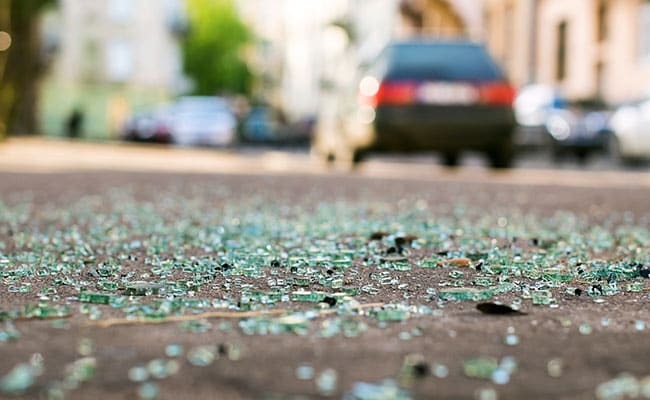 A seven-month old child too died in the incident which took place late Monday night on GT Karnal Road on National Highway 1. New Delhi: A joy trip reached a tragic end for a family of four. Their speeding car first collided with a divider and then flipped on the opposite road only to get rammed by an oncoming truck. A fuel tank burst followed and the family which was trapped inside was burnt to death. Passersby tried to help but failed to move the family out of the mangled car before it caught fire. A seven-month old child too died in the incident which took place late Monday night on GT Karnal Road on National Highway 1. "The car lost balance due to speeding near Shayamgarh village and collided with the divider. It then fell on the opposite road going to Chandigarh and was rammed by a truck," a senior police official said. The deceased have been identified as Sanchit Chopra, 28, his wife Bhawana Chopra, 24, his mother-in-law Naresh Kumari Bhola, 56, and seven-month-old daughter Tusharika Chopra. "They got trapped inside the car driven by Sanchit Chopra and burnt alive after its fuel tank burst following the collision with the truck and caught fire," the police officer added. The family had gone for a Holi vacation to Manali and Amritsar and was returning after a visit to the Golden Temple.